Drivers' cabs, arm rests, tractors: We have been working with CNH of Austria since 1995. This specialist agricultural machinery company successfully uses our test stands and software for quality assurance – from subassembly testing to the delivery test. IGH Automation installed the fault management software module at Case New Holland (CNH) of Austria for the first time in 2001. 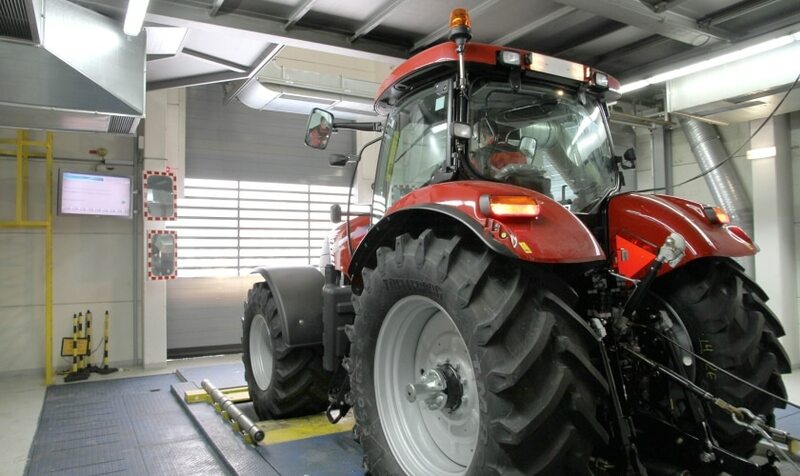 Using the archiving and analysis functions of the software, the tractor specialists can determine exactly which faults occur most often in which situations, and this allows them to improve the production process in a targeted way. This has been supplemented by the company's decision to set up a special department that records and analyses all production faults. This makes avoiding faults an important element of the company culture of not allowing reductions in quality, delivery problems or additional costs to arise in the first place. "On average, the optimisations in the process that the software data has enabled us to make have halved the turnaround time for our tractors in assembly, testing and for any troubleshooting simply by virtue of the fact that we have to remedy far fewer faults afterwards. The bottom line is that this means an enormous increase in productivity. That was more than we'd hoped for when we ordered AQIs. "